Pasta, in my household, appears on the table weekly. The kids like it, and I like its "blank slate" versatility. But in the three-plus weeks that I've been eating whole grains every day, I have cooked very few pots of noodles. Prior to the Challenge, I stocked my pantry with several varieties of noodle: soba, whole-wheat spaghetti, quinoa shells, spelt and brown-rice noodles. The soba went without a hitch, as that's what I usually use for peanut noodles. It was the whole-wheat spaghetti that derailed me. [%image reference-image float=right width=400 caption="Where's the good stuff?"] It's awfully hard to tell the kids to buck up and tuck in when I'm making faces at my plate, too. I've tried several different brands, but the only one I really liked was the one that started out brown and ended up blonde. Hmm, makes you wonder about how integrated those whole grains are, doesn't it? I always liked the Bionaturae cappellini, but it seems to no longer be available. My problem with whole-grain pastas is not their taste, but the texture: Too gummy, too soft, too mealy. Help me out here. 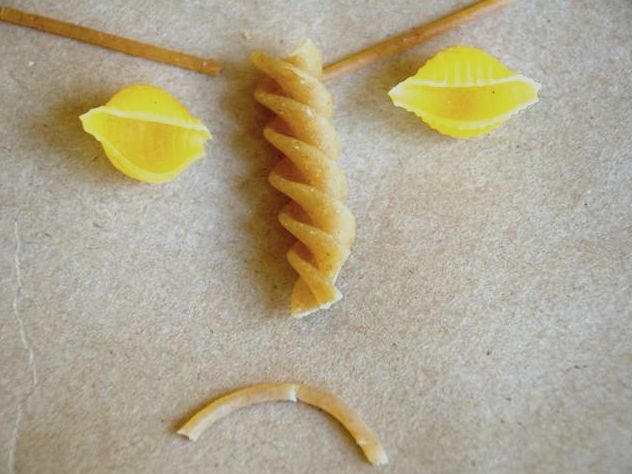 Do you have a type or brand of whole-grain pasta you like? Or perhaps a cooking tip for me? I'm all ears.